In total your crew will be in the water two to three times, as some fields do not start the final 750m. The Club Eight’s field have a capacity limit on the 5000m as well, with only room for the top 15 crews. This video contains a short impression of the course. The video below contains images from the water and instructions on how to take te bridges. 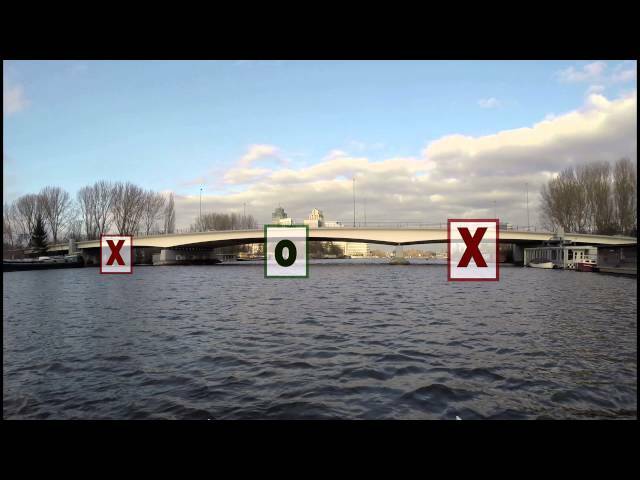 Heineken Roeivierkamp course as seen from a cox perspective, bridges are annotated. On Friday the 8th of March we will brief all coxes on the course. Location is Roeicentrum Berlagebrug, opposite from Nereus. The briefing starts 18:45 for NL crews and 19:45 for EN crews. Please attend this briefing, even if you have been with us for years. We have new regulations and guidelines to keep everybody safe, especially during warm-up and cool down.